Seems to me that Final Fantasy is one of the only video game franchises that can get away with holding a hosted event just to tell you when you can expect a game that has been in development for six years and people actually want to attend said event. I’m no exception. 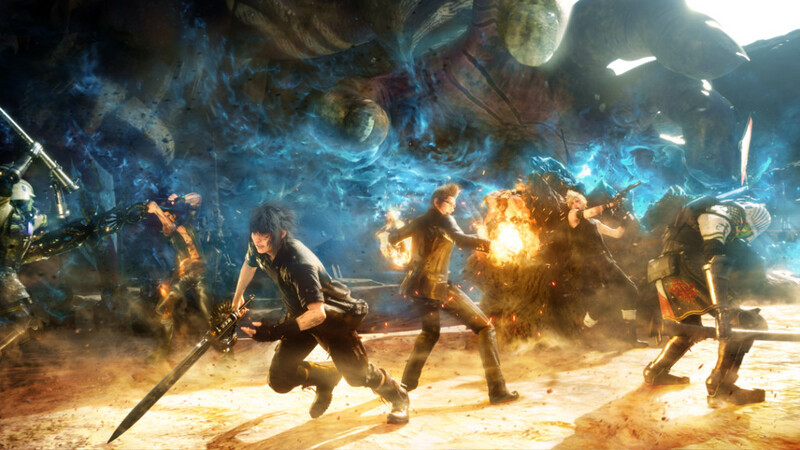 That’s just how much we want Final Fantasy XV. For those who are not fortunate enough to go, the event will be live streamed on YouTube and Twitch. Again, this is insane that anyone, including me, cares — and cares enough for Square Enix to devise a viable alternative for people who cannot attend the event. But, Square Enix is aware of how wonderful and rare their games are. More importantly, they know how willing us gamers are to forgive and forget Final Fantasy XIII. Okay, this list (arguably) goes on, but that’s not the point. The point is that we have collectively blocked those games out of our memory. Hopefully all that memory repression pays off and Final Fantasy XV blows everyone’s (proverbial) socks off. All this talk of Final Fantasy XII is making me need to distract myself with some pretty Final Fantasy XV gameplay footage. I’m sure the same goes for you. 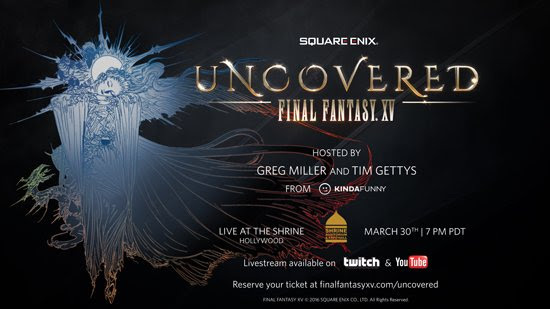 Uncovered: Final Fantasy XV will take place in the Shrine Auditorium in Hollywood, California on Wednesday March 30th at 7pm and will only be open to residents of the United States.